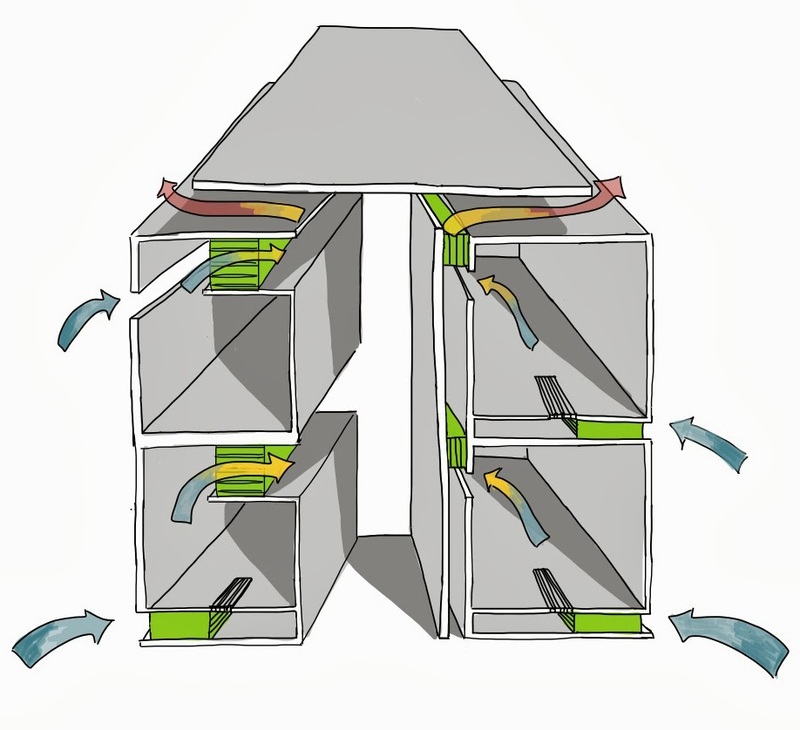 Low energy buildings works most effectively when “cross ventilation” is employed. In this case, air is brought in through the building façade and then passes across a given space and out through a partition into another part of the building e.g. corridor, atrium, etc. 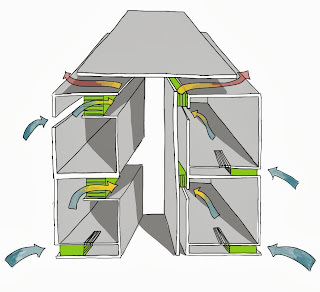 In the case of cross ventilation, the spread of noise through a partition containing vents can be a major limiting factor. The Nat Vent is therefore used to maintain the acoustics performance of a partition.